Support the leader of the Mishima Zaibatsu and buy the fierce TOTAKU™ JIN. Fighting the devil inside of him who gets stronger each day, Jin yearns to be rid of it once and for all. Standing at 10cm tall, this highly detailed Totaku stands strong among the rest! 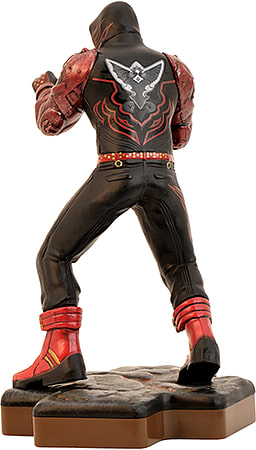 Enhance your Tekken collection today and buy TOTAKU™ JIN. Welcome to the TOTAKU™ Collection (pronounced Toe-Tak-Oo), a unique series of highly detailed figurines from video game franchises past and present. Join the collection today and create a whole collection of figures from games such as Tekken, Ni No Kuni and Sonic the Hedgehog as we work our way through gaming’s greatest heroes!